Bowling Clubs in the Alicante area of the Province of Valencia on the Costa Blanca. bowls map Alicante. Alicante is the southern most province of Valencia region. It’s coastline is called the Costa Blanca. The capital Alicante is approximately half way down the coastline. 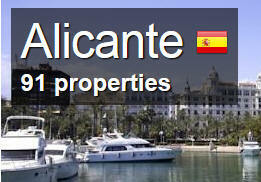 The above Link should give you an insight of local holiday homes and hotels in the Alicante area of Spain. Bowls Clubs that link to our site here in Spain. Sold by notonlybowls and Fulfilled by Amazon. Gift-wrap available. Pick up bowls without having to bend over. Bowling Clubs in the Alicante area of the Province of Valencia on the Costa Blanca.